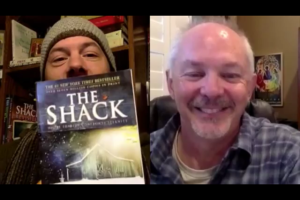 I am speaking this week along side Paul Young, author of the book/movie, “The Shack.” We will be together at the “Open Table Conference” in Portland. Tickets are still available. Paul and I go back more than a decade. I cherish his friendship and mentorship, his support of my writings (including writing the foreword to “Neighbors and Wise Men”), and the ways we have shared our families with each other.